Sympathy is the concern for the well-being of another. 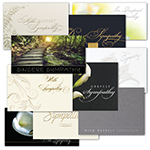 Thoughtful gestures are important and appreciated during the difficult times of grief for those you care about. 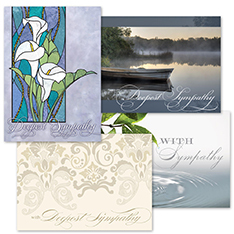 Condolences and kindest thoughts are expressed in each and every card in our sympathy card assortments from Brookhollow.